Perhaps you’re first starting out in your relationship and realize that the best way to get off on good footing and create a solid foundation is to learn couple skills. You’re smart enough to know that once the honeymoon is over, it takes more than love to make the marriage thrive. Or, have you weathered the test of time in your relationship but feel worn out with no spark left? Social research has shown that people engaged in healthy and happy relationships are more satisfied and productive, not just in their committed relationship, but in their social lives, with their families, and at the work place. Whether you decide to have a private consultation with Karen Sherman or have her conduct a workshop with your group, you can learn the same skills she’s been teaching privately since 1982 as a family and marriage counselor. These can be offered in person or through teleconferencing. The choice to be Empowered is yours. 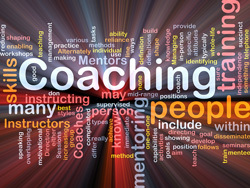 Contact Dr. Karen about Coaching today.